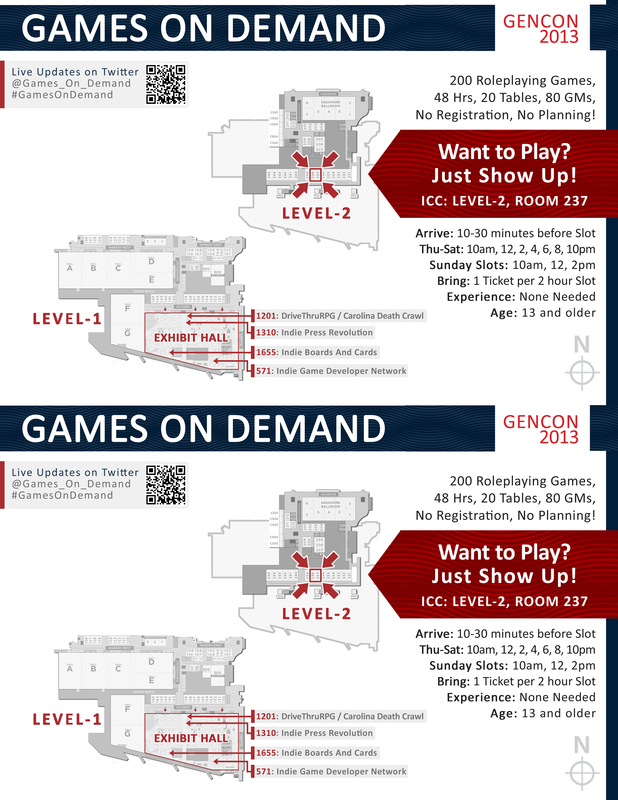 One Week to Gen Con Games on Demand! 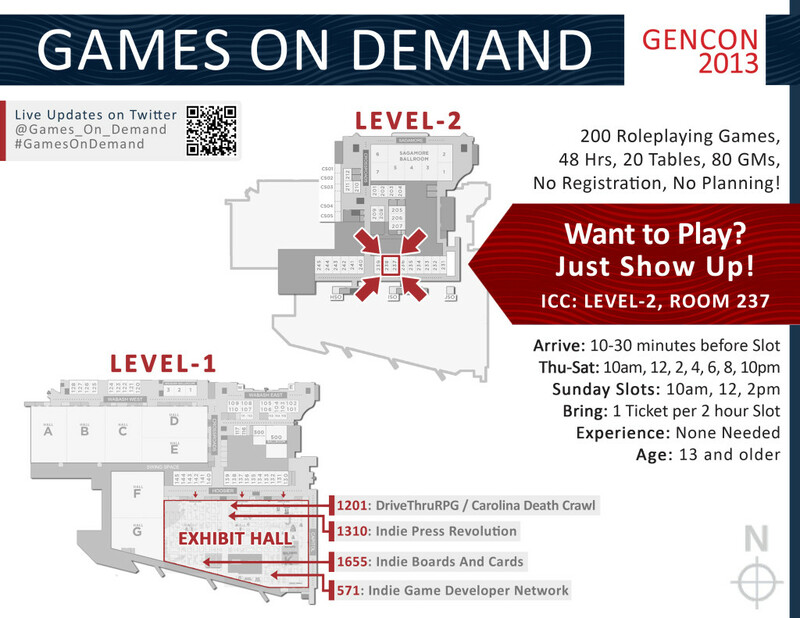 Gen Con 2013 is now only one week away, and our Games on Demand event this year will be bigger and better than ever! The event will be held in the Convention Center on the second floor overlooking the Exhibitor Hall in room 237. We’ll be running games from 10am-midnight on Thursday through Saturday and 10am-4pm on Sunday. Come play with us! If you’d like to print copies of this map to hand out, take this 2-up version, and our thanks!